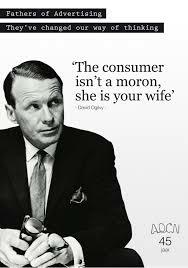 Father Of Advertising “David Ogilvy”- on selling & advertising. 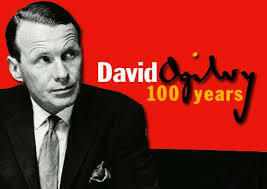 ​David Ogilvy is an advertising legend. 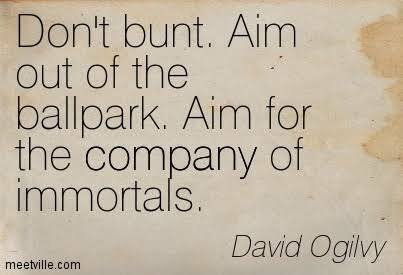 Often described as the “Original Mad Man,” and “The Father of Advertising,” Ogilvy is known largely for his advertising work while serving as the founder of Ogilvy & Mather. In addition to building a multibillion dollar company, he also helped create hugely successful campaigns for clients such as Dove, Shell, and Rolls-Royce. The product you represent is depending on you, and if you allow yourself to take shortcuts or present a less than compelling argument, then you’ve failed. As an entrepreneur or business owner, you simply cannot afford bad copy. If you cannot achieve perfection on your own, then you should hire someone who can. 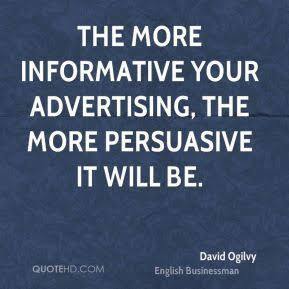 Ogilvy spent years working for George Gallup, founder of the Gallup Poll, and it was during this time that he realized the true value that comes with knowing exactly what your target audience is thinking. If you haven’t done your research, then you’re simply faking it, and it’s that type of copy that gets marketers in trouble, either with the government or with their boss. To write great copy, you need to understand your audience to the letter, so that you know how you can best serve them. Nothing else will do. speaking on behalf of consumers everywhere. As great as your product may be, speaking down to your audience is going to turn them away, and as much as you’d love them to be infatuated with your charming pitch, understand that, at the end of the day, they simply want to solve a problem. Treat your customer with respect and dignity. You’re on equal footing, or perhaps a bit lower, considering you’re the one who needs the sale. Reflect that position in your copy. Headlines are as close to a magic bullet as you’re going to get, and if you’re going to be perfect in only once place, do it here. 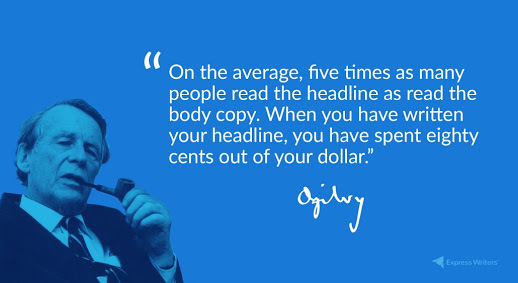 Write a strong headline that works. Couldn’t be more true. Marketers love to be cute and funny, original and innovative, but it’s also dangerous. People don’t set aside time to read ads; they are probably in a hurry, just taking a quick glance before they move on to something else. If your point isn’t immediately obvious, chances are they won’t get it, and you’ll lose them forever. If you want people to buy, you need them to see your product in their hands and be able to envision how it’ll improve their lives. Everything else is secondary. If you can awe them with your words in the process, fine, but don’t do it at the expense of the sale. Why is the product important? Why is it a good deal? Why should they be interested? Why should they buy it from you? Why should they buy it now, rather than later? Why should they trust you? Consciously or subconsciously, all of those questions are going through a customer’s head. If you want them to act, you need to answer them, and that means making your copy informative. 7. Your Copy Is Important. Treat It That Way. All too often, business owners treat their sales copy like an afterthought. They scribble down a few notes, have someone check it to make sure it’s grammatically correct, and send it out. Then they wonder why it doesn’t get results. 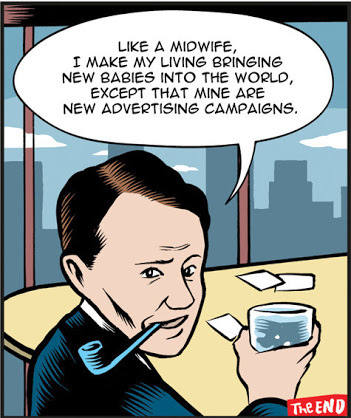 David Ogilvy, on the other hand, looked at each of his campaigns like his babies. He nurtured them, fought for them, helped them develop. 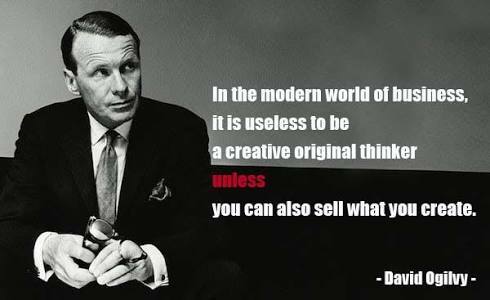 And he produced some of the best-selling campaigns in the history of advertising. The truth is, writing great copy takes time and energy. Some of the best copywriters will spend weeks just crafting the headline, and they might take months to write the body copy. It’s not because they’re slow. It’s because they know the importance of getting it right. Previous Post Does Your Social Media Impacts On Your Ranking? Next Post #Healthcare :-Things You should have to remove from your websites and do this immediately for better results.